Step Step - Hej Doll | Simple modern living by Jessica Doll. 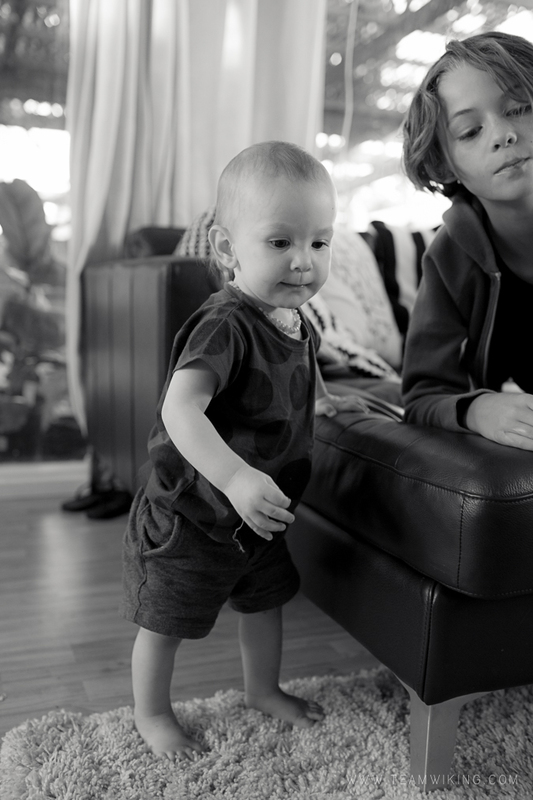 Søren has been taking his sweet time with walking. You try to help and he usually buckles his legs underneath him and refused to take more than 1-2 steps on his own. Tonight that changed. He had several moments where he took 3-4 steps on his own. I think he is as excited as we are! oh my! how exciting! this photos are fantastic! Yes, and a little scary (Eek!). Thank you! He is on his way now!